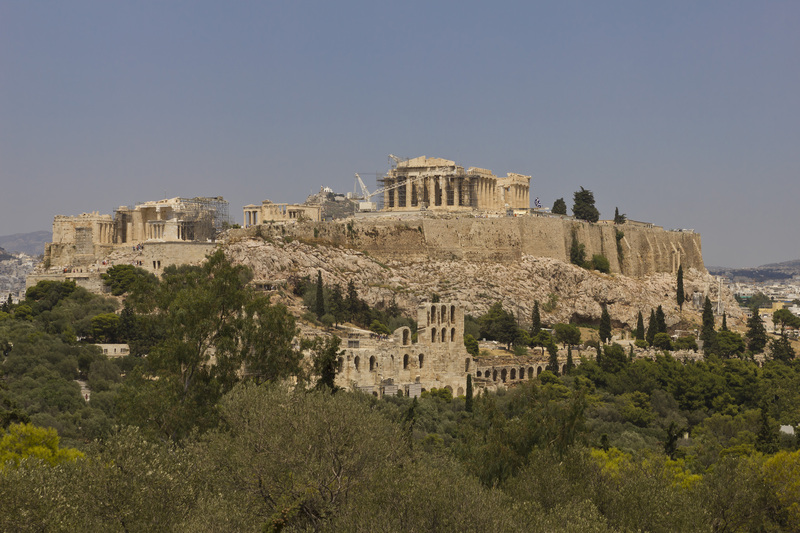 You donʼt really get the feeling that you are in Athens until you visit the Acropolis of Athens, an ancient citadel located on a high rocky outcrop above the city and containing the remains of several ancient buildings of great architectural and historic significance. Although there are many other acropoleis in Greece, the significance of the Acropolis of Athens is such that it is commonly known as ‟The Acropolis” without qualification. Archeological researchs stated that the entrance to the Acropolis was a monumental gateway called the Propylaea. The main buildings to see are as follows: - the Temple of Athena Nike, - the Parthenon or Temple of Athena Parthenos (Athena the Virgin), - another temple known as the Erechtheum, - the remains of an outdoor theatre called Theatre of Dionysus and - the partially reconstructed Theatre of Herodes Atticus. 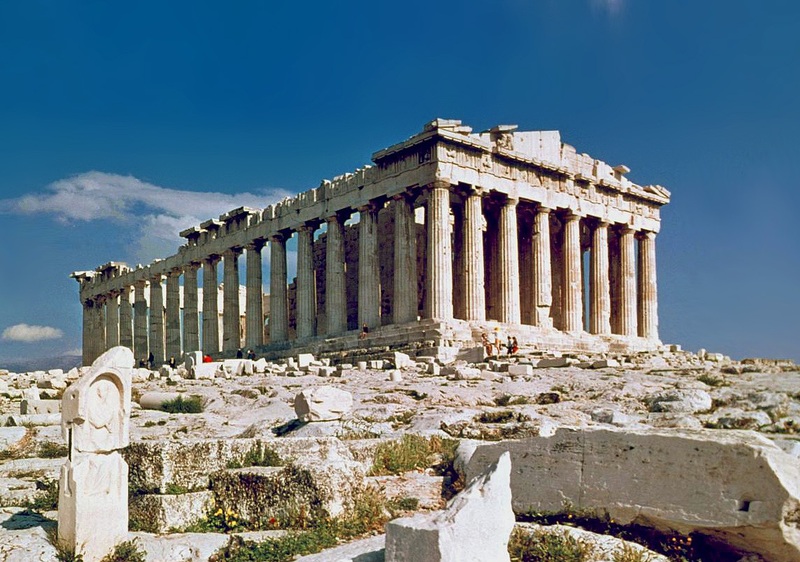 The central and very famous temple Parthenon is dedicated to the goddess Athena. It construction began in 447 BC and lasted until 432 BC. It is the most important surviving building of Classical Greece, generally considered the culmination of the development of the Doric order. The best way is to take the Metro: Acropolis or to take part in the guided visits organized by the local agencies.